by Reviewer Rob, from 5-29-16, 5:41 p.m.
Now I’m listening to this Sub Pop label sampler in my car CD player. This is going to sound rightfully dumb, but it is almost June 2016 and this is the very first time I have ever heard a compact disc in my car radio. Don’t bother asking why eithet, but I have never listened to CDs in my own automobiles until this very moment. Crazy, huh? Twenty or even eighteen years ago I would listen while driving to lots of review submissions that I copied or had been mailed in, but they were always tape cassettes. Then by the mid to late 90’s CDs took over and so did Reviewer magazine as a source of music reviews for new artists and the discs came flooding in. Then cars stopped having tape players and boom boxed stopped having dual tape cassette copiers with CD players. So I guess I got rebellious. I stopped trying, and I stopped caring. I would only sit down with a boom box to listen to a music CD for review purposes and not to relax, or during my ample time while in a car. Maybe I’m wack crazy but I think I partially justified it by rationalizing the CDs would skip when I drove over a bump. Amazing but I had never analyzed this before now either, but there you go. 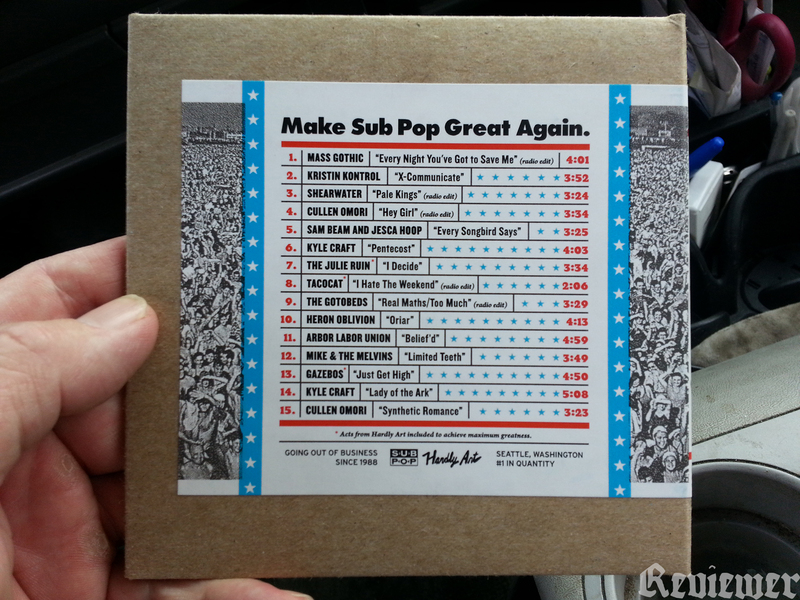 Make Sub Pop Great Again label catalog comp, front. 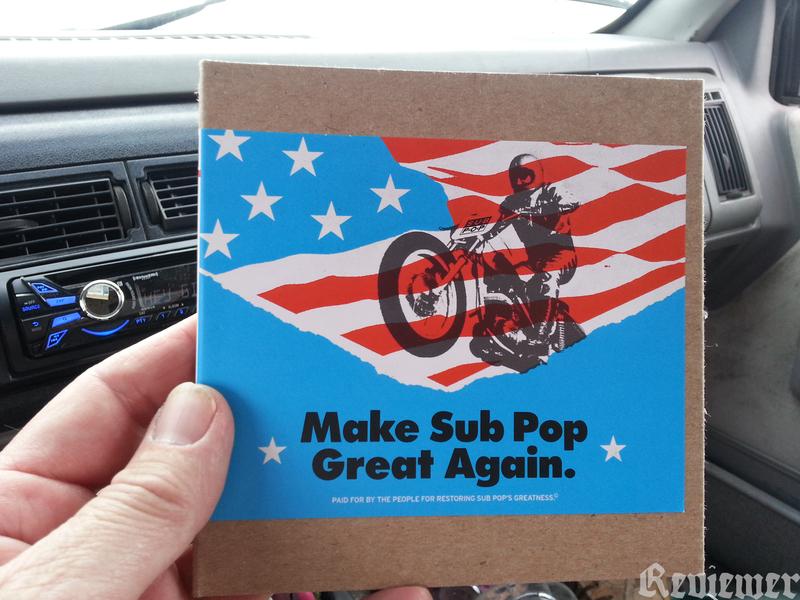 Make Sub Pop Great Again label catalog comp, back.